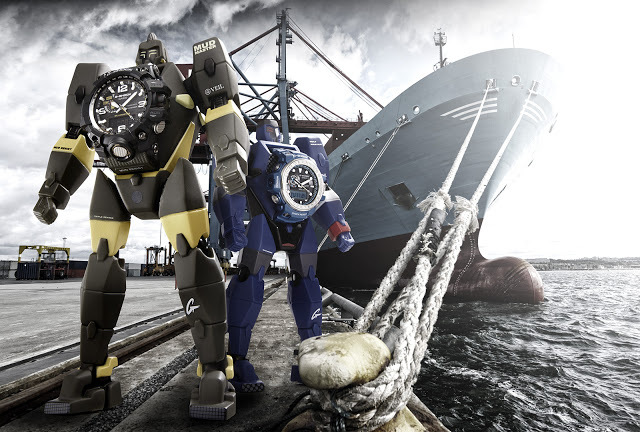 Casio has teamed up with VEIL and adFunture to create the Master of G special edition G-Shock watches, each accompanied by a robot figurine, exclusively available at G-Shock stores in Singapore. Inexpensive as it is, the Casio G-Shock is nonetheless one of the cult watches of our time. In its 30 years the G-Shock has been the subject of numerous collaborations, ranging from rapper Eminem to contemporary artist Takashi Murakami, making the world of collectible G-Shocks a little known but interesting place. The latest is the three-way partnership between Casio, toymaker adFunture and streetwear label VEIL, resulting in the Master of G special editions, each complete with a robot figurine – think of it as an MB&F Melchior for the common man. The robots are designed by VEIL, a Hong Kong clothing brand that has worked with Puma and Adidas, and made by adFunture, a Hong Kong manufacturer of collectible, cult toys. Both firms share the same co-founder, Eddi Yip, a Hong Kong-based designer. This is the second generation G-Shock and adFunture collaboration, with the first series having been introduced in 2011. Three models are offered, the Gulf Master for exploring the seas, the Mud Master for land treks and the Gravity Master for aviators, each featuring a plethora of relevant functions. The Gulf Master for instance is equipped with “triple sensors for measuring direction, atmospheric pressure and altitude, and temperature hands [that] serve to indicate atmospheric pressure and compass bearing.” All also feature global position system (GPS) satellite and atomic time signal synchronisation. To accommodate all that technology the watches are large, measuring 56 mm in diameter. 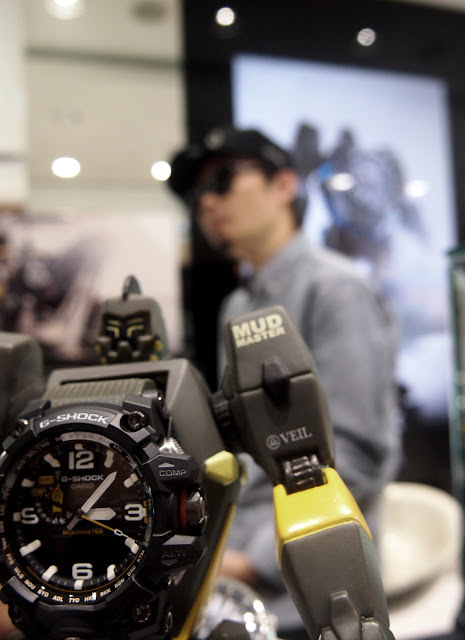 Each watch is matched to a robot figurine that also serves as a display stand. Available only in G-Factory stores in Singapore starting December 11, 2015, the Master of G special editions start at S$649 for the Gulf Master, and rise to S$1099 for the Gravity Master. Prices include seven percent tax. Update December 5, 2015: Case dimensions added.